Welcome to the first Book of the Week post of 2016! I really enjoyed writing these last year – and find that having to pick a favourite book each week really helps to focus the mind – not just about what I like and don’t like about books, but also about what I chose to read from the pile. It doesn’t stop the bingeing on one author, but it does mean I try to add some variety in – after all a BotW from the same author each week would get very dull very quickly. And speaking of binge-reading, there’ll be a post coming up at the weekend about the Pink Carnation series – which is one of the reasons why one of the three Lauren Willigs I read last week isn’t occupying this spot now! So, Bleakly Hall. This has been on the pile for over 2 years (!) – and had been on my radar for some time before that. I think it’s another that was mentioned in the Emerald Street book section (where I’ve found several really interesting books) which I then added to my Amazon pile to wait for the price to come down (although in the end it came from Waterstones who must’ve been doing a deal judging by the prices) which is what happens to a lot of books. Anyway, you all know about the state of my to-read pile and the less said about it the better. This is my best attempt at artistic. I polished the wood specially. I read a lot of books set in and around the First World War as part of my A-Level English literature and the period has continued to fascinate me in the intervening years (no, I’m not telling you how many years) and so this book was right up my street. I’m particularly fascinated with the aftermath of the war* and how it affected people so I found the characters in this fascinating. And they are a bit of a microcosm of post-war society – people want nothing to have changed, people for whom everything has changed, others for whom everything has changed, but in a different way and then those who would quite like the war back in some ways. This is quite black in places – there are moments that will make you laugh and then there are moments of horror. The spa is damp and run down and there’s comedy in the treatments and quackery provided and then there are the flashbacks to Belgium and the carnage of the trenches. The two are nicely balanced – and sometimes you realise you are still chuckling over the latest antics at the spa but you’re in the trenches and really shouldn’t be laughing. 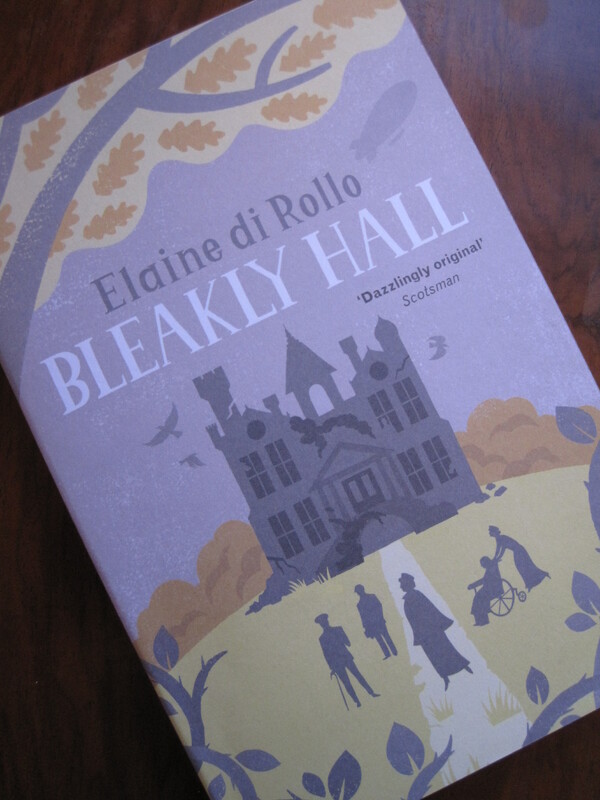 I enjoyed (if you can call it that) Bleakly Hall – and got a lot out of it. If you’ve read the usual Great War suspects – like Goodbye to All that, Regeneration, Testament of Youth etc – then this might be a good place to go next. It’s available on Kindle, at Amazon (where there are some good second-hand prices), Waterstones and Foyles. * It’s one of the aspects of Lord Peter Wimsey‘s character that I find really interesting, as is Daisy’s search for a career and a new future after the war and the changes it brought in Carola Dunn’s early Daisy Dalrymple books.